ChineseBites signature dishes tour dinner #2½ at KiBo Restaurant & Lounge in Yaletown on July 26, 2012. 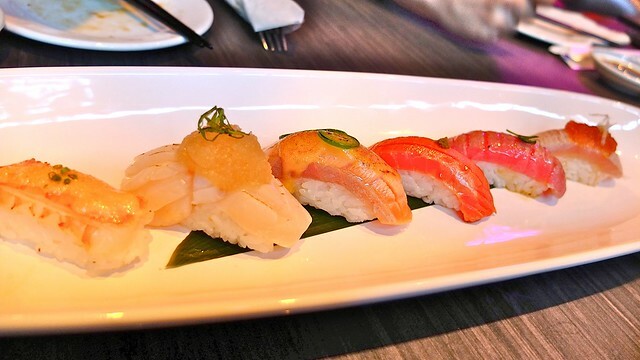 Our Chinese dining crew veered east to try the newly opened Japanese fusion restaurant in Yaletown, offering a more vibrant, lounge feel to dining. 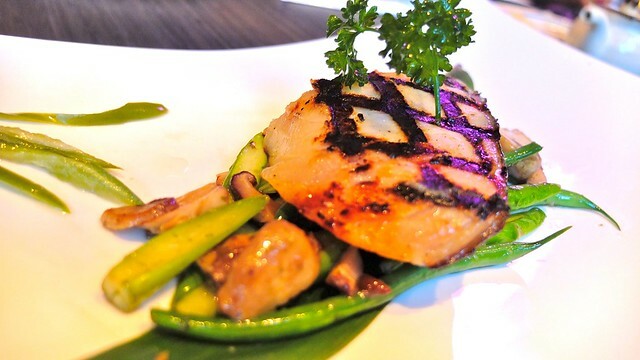 To start off, one of the highlights was the marinated sablefish cooked and presented just nicely. 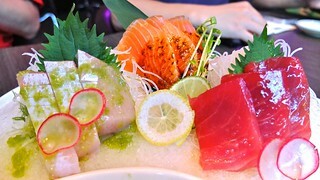 The beautiful looking sashimi set was chopped too big and more style than substance. 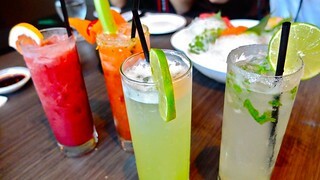 We generally found the cocktails lackluster and devoid of strong taste or punch. 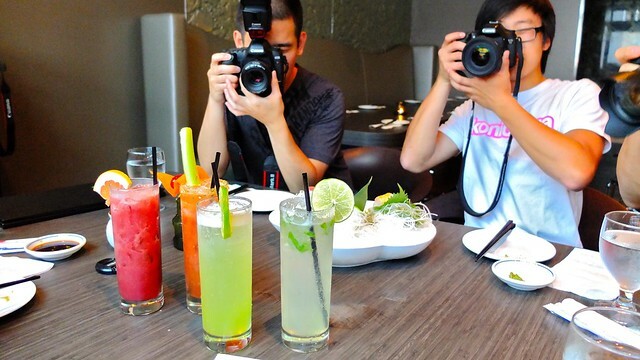 Photogs Alvin Lee and Kevin Wu slowed the dining down on the DSLR side of the table in the name of getting the perfect shot. We chatted on all things food blogging and the community (Janice clearly listening intently) in between chomping down on lamb chops. 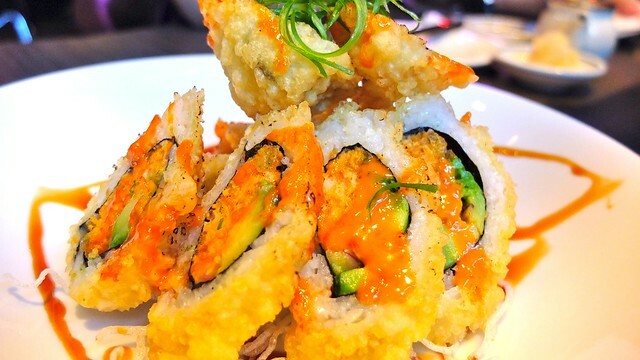 I enjoyed the volcano roll with the a fried outer shell, but the other sushi rolls (Hamilton, caterpillar, Philadelphia, and mango) were just okay and fairly standard. 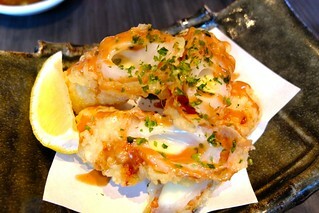 I dug into the scrumptious deep fried fish cake stuffed with chikuwa cheese. 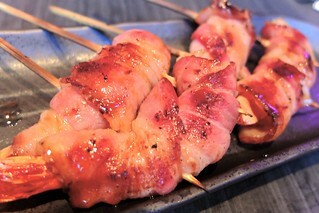 The ebi bacon prawn skewer was a tad disappointing but still tasty. The standard offering of the aburi sushi set looked great and was well prepared yet lacked a certain depth of flavour. 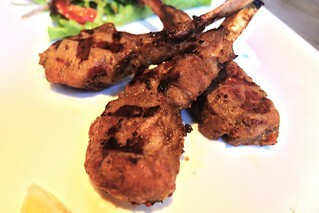 The grilled KiBo beef steak was very good, well-cooked and delectable compared to the bland yet spiced filled rack of lamb chops. An intriguing highlight was the special seafood dobin broth soup served in a teapot with cups. 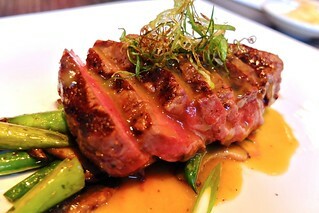 It was a mildly satisfying yet slightly offbeat meal from KiBo as I'm sure they continue to refine their menu and taste. It will be a difficult task to set themselves apart in the Yaletown Hamilton Street alley just a block away from the new Minami. Hopefully, they'll grow and evolve their dining.